Welcome to Day 1 of my Random Acts of Kindness Project! 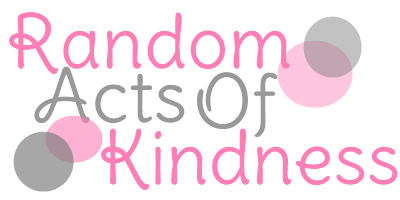 From Monday to Friday this week, concluding on Random Acts of Kindness Day, I am going to be posting with various suggestions for you lovely people to spread the word, spread the love and spread the kindness, not just this week but all week round. Send a note to someone you love telling them how awesome they are! This is one of the easiest way to spread a little kindness to the important people in your life, whether or not they live across the street, a few hours away, or even in another country. This is a good place to use up those extra "Thank You" cards you might have leftover from a shower or wedding of some sort. If you're at a loss about what to thank them for, simply write, "Thank you for being awesome!" - this works for me every time :) And when you join sites such as Postcrossing, you can spread the love to people all over the world that you haven't even met before! Of course you don't have to limit this to a note card or a postcard! Sending a little gift to people that are important to you is perfectly acceptable. Also, if you know someone that might be going through a hard time right now, it's a good idea to put together a care package for them if you want to. But if you're limited on resources but really want to do some good, there might be another place suited to your care package talents. Send a care package to a soldier! If there's anybody that's deserving of some care package love, it would be our soldiers. Whether you live in the US, Canada, or somewhere else in the world, there are plenty of programs you can find online where you can send out a care package to deserving soldiers. A lot of the programs/online sites where you can send a care package to a soldier can be found at OurMilitary.mil, so feel free to take a look at the sites there and see which one best works for you to send a care package to a hard-working soldier who might need a little TLC. Guess what? It's not just soldiers that might need something nice done for them every once and a while. One great thing about Random Acts of Kindness is that you don't have to shell out a bunch of cash to ship a care package or even a little cash for a stamp to do something nice for somebody else. There are a bunch of things you can do for people that will make their day just a little better and might bring a smile to their face. I like to call these sorts of acts of kindness "The Little Things." And they're the quickest and easiest ways to spread a little love to those around you! Here are just a handful of suggestions on how you might do this. Walking by a person that is wearing a nice pair of earrings? Don't just keep that information to yourself! Compliment them and brighten their day. Holding the door open for one person, or even a group of people, whether they've got their hands full or they just want to get out of the rain sooner, is a great way to spread some kindness. Feeling generous? When you pick up your coffee in the morning from your local cafe or Starbucks, pay for the order of the person behind you! 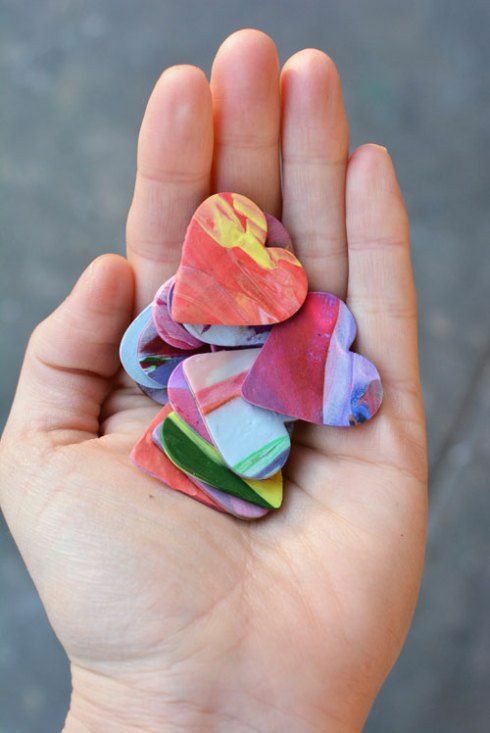 Want to spread kindness while you're on the road? Be courteous and let people merge-in during traffic. Instead of hurrying onto the bus or train to get an available seat, offer up your seat to somebody who's already standing. Pay attention to your friends on Facebook and Twitter. See somebody that might be in need of a positive message or some encouragement? Comment on their profile or send then a quick message to make their day better, or let them know that you're there for support if they ever need it. I'd actually like to lead by example on the last item I listed there. Recently, Franny Young, who was featured as part of my Geeks Run The World project, nominated another fellow iggle to be featured. This iggle emailed me back to inform me that her life has become quite chaotic as of late, and she wasn't able to make the time to answer my interview questions, and she hoped that we might be able to reschedule the feature for a later date. With everything I have going on in my life right now (school, work, blogging, NaNoWriMo, family, trying not to get overwhelmed), I know how hard it can be to live a chaotic life and not have a single moment to just sit back and breathe by yourself for a little while. Therefore, it would me the world to me if anybody who reads this who is on Twitter might take a little time to send a quick tweet to Anna, aka @spandwiches on Twitter, just to let her know that she is awesome and that we hope that the chaos that currently is her life isn't getting to be too overwhelming for her and that we hope that she'll have a few spare moments to herself soon. At one point when Anna is less busy I will definitely be featuring her as part of Geeks Run The World, but for now I think that sending a few positive messages her way is in order! For anybody that is able to do this, I would just be eternally grateful. And that's it for my first day of Random Acts of Kindness ideas! This one was a bit shorter, just to give people a nice little start to spreading some kindness. If you decide to spread a little kindness this week, you should take a picture and either tag me on Twitter or use the hashtag #WrittenWordsRAK to show off how you decided to spread the love this week - or any week! As for my further RAKing adventures this week, I'll keep you guys posted! Random acts of kindness brightens everyone's day. And, as you said, it doesn't have to cost anything at all. Thanks for the tips on how we can spread more sunshine! This is something I need to remember to do. There are so many positive and bright people in who try to interact with me, that sometimes I forget to try and be one of them myself. It's so easy to get sucked into my own world. Time to stock up on some postcards!